Humans from Earth have come to the planet Pandora to mine for a valuable mineral called Unobtanium. In order to persuade the native Na'vi to allow them to mine on their planet, the corporation in charge has hired scientists to develop genetically engineered Na'vi bodies called Avatars that can be controlled by a human operator. They hope these Avatars can help create diplomacy. However, as time passes and the Avatar operators become closer to the native Na'vi, the corporation starts to turn to more military solutions. When it was first released, "Avatar" became a global phenomenon, much to the surprise of everyone. It was a box office monster that ruled cinemas for a long time and went on to become the highest grossing film in the world. Even though it did lose its top domestic earner title just recently to "Star Wars Episode VII: The Force Awakens," it is still the top global gross earner, making more than $2.7 billion dollars. Besides hitting it big at the box office, "Avatar" also received nine Academy Award nominations, including Best Picture, though it lost out to director James Cameron's ex-wife's film "The Hurt Locker" (which we do not think was deserving of this top award). 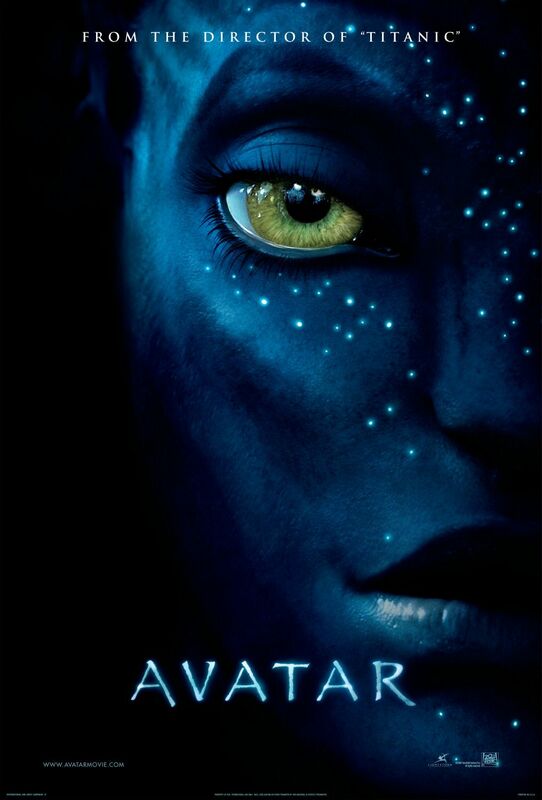 "Avatar" is a visual spectacle of epic proportions, and we can remember fondly watching this film in the theater in 3D. It was groundbreaking in its technology as James Cameron worked with WETA digital and Industrial Light and Magic to create the colorful fantasy world and creatures of Pandora. Though the special effects are amazing overall, there are still times (and we felt this way in 2009) where it dips into more cartoonish looking territory. It's one thing to be a visual spectacle, but it's another to be a truly good movie. Since it had been a while, we felt like we had to take our perception of this film off the big screen, away from the crowded theaters, and needed to watch it in our home to see if it remained just as compelling, visually and otherwise, nearly a decade later. We wanted to make sure the characters and story remained gripping enough to pull us in without it totally relying on spectacular eye candy alone. Overall, we'd say the answer is a resounding yes, but it is not without its flaws. Cameron has been able to prove time and time again that he can make great characters and tell a compelling story no matter where you view his films. There are still a few things about "Avatar" we didn't like, one being the ridiculous name of the valuable mineral the military is mining for on Pandora. We mean seriously, "unobtanium"???? That was the best name you could think of for a mineral substance??? James Cameron went out of the way to find someone to develop an entire language for the Na'vi people, but the unobtainable mineral on Pandora was simply called "unobtanium"?!??!!? This is just snicker worthy, inconsistent, and super lame. Of course, this is merely a minor gripe in the grand scheme of things, but it was annoying enough in 2009 when we first watched this movie, and it still bugs us now in 2016. We weren't huge fans of Sam Worthington as Jake Sully. There are a million better actors out there than him (no offense, man). It's not that his overall performance was bad, because it was serviceable, but he dips into his Australian accent constantly, which begs the question, why not just let him keep his Australian accent, or hire someone American if that was the ultimate goal? It would have meant Worthington could have spent less time worrying about his accent and more time worrying about the performance he was giving. By far, the most compelling character for us was Neytiri of the Na'vi, played by Zoe Saldana. Despite this being a digital character, Saldana was able to display a wonderful and powerful range of emotions, offering an often moving performance. Sigourney Weaver is always fabulous, and her performance here is no different. Stephen Lang really brings the heat as Colonel Miles Quaritch, a typical, overbearing military type who favors muscle over science. Overall, "Avatar" is a really great piece of cinema with groundbreaking special effects, a compelling story, and good characters that connect with the audience. Whether you watched this movie on the big screen in 3D, or the 2D version at home, it is most certainly a worthwhile watch. One year ago, we were watching: "The Greatest Show on Earth"